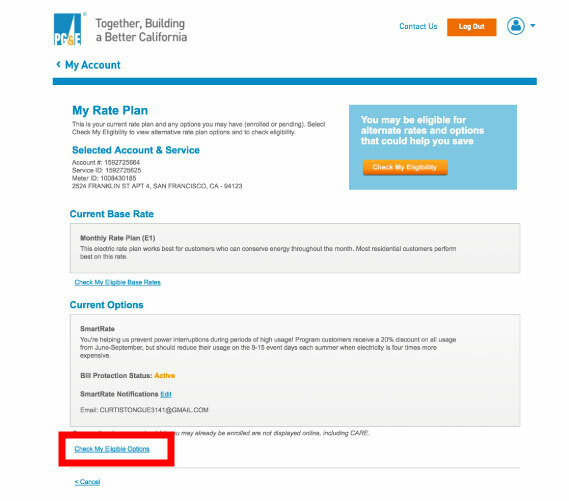 Login to PG&E and go to this page. 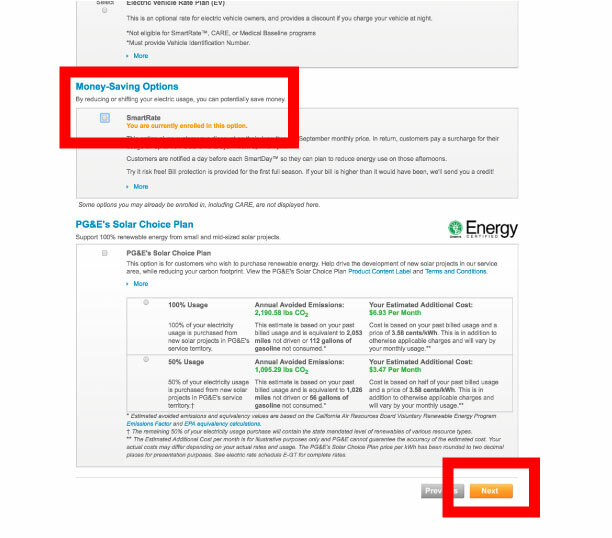 Click "Check My Eligibility Options" as highlighted in red. Unclick the checkbox labeled "SmartRate" and click the "Next" button. 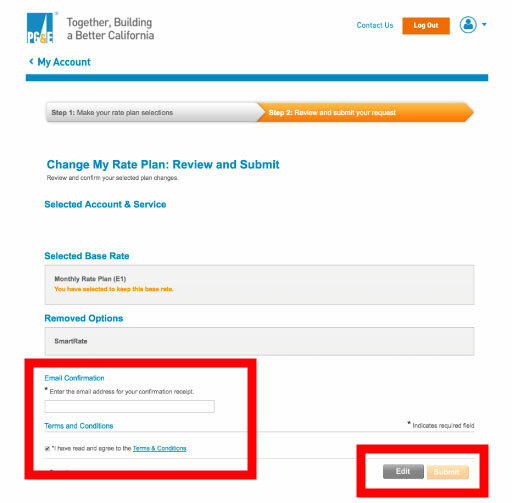 Enter your email address, click "Terms & Conditions" and then click "Submit."